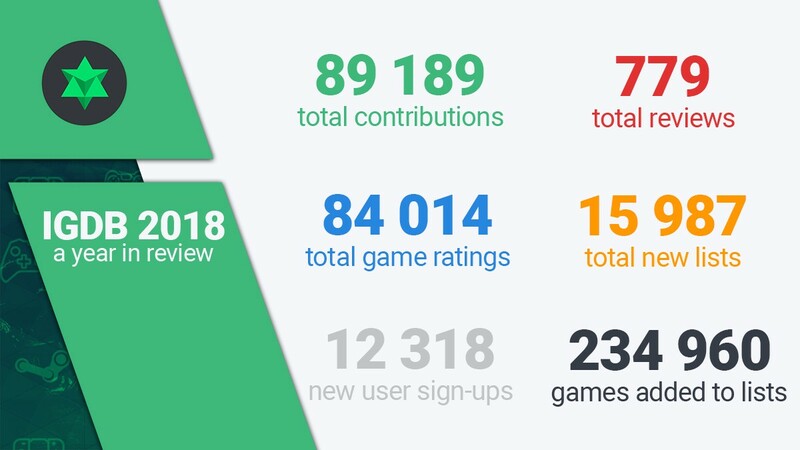 2018 stats from the IGDB community! Assassin’s Creed saw a much needed breath of fresh air recently, for the better clearly as Odyssey is the highest rated in the franchise since Assassin’s Creed II in 2009! 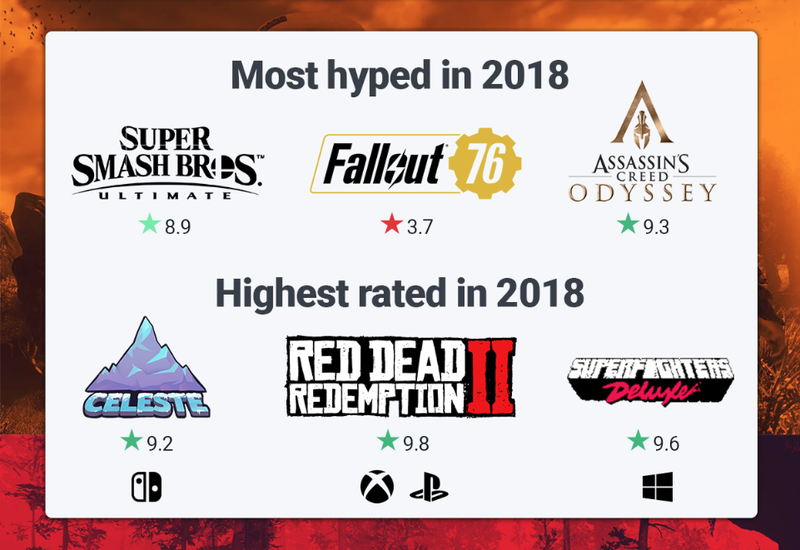 Fallout 76 is a good reminder about the state of pre-release hype: being second most anticipated throughout the year, yet with a user rating of 37/100. Celeste clearly lead the indies this year, especially on Nintendo Switch which turned out to be a stellar hardware heaven for both indie developers and indie fans alike. And not forgetting Superfighters Deluxe, an old browser classic that saw a 2018 Steam release. 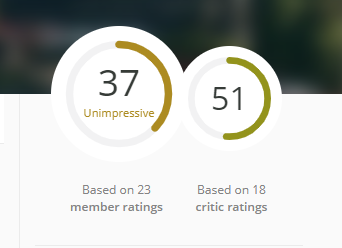 Clearly a popular entry within our community with a whooping 96/100 user rating! 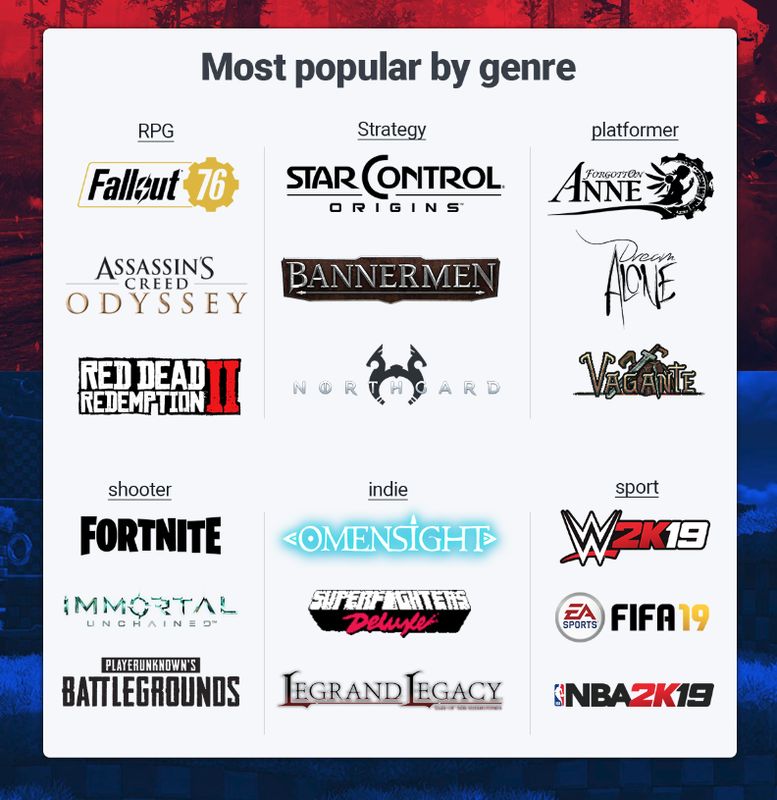 Many of those have even already made it into our user voted Top 100 list, which finally saw the Witcher III getting dethroned from the number 1 spot. Will any big 2019 surprise dethrone them? 2018 saw the stratospheric growth of Battle Royale with skyrocketing peaks (Fortnite), and sadly rock bottoms (Radical Heights and the closure of Boss Key Productions). Over the course of the year, we saw the release or announcement of no less than 30 new Battle Royale games! This ranges of course from added mods (CSGO Danger Zone), standalone mods (Battlerite Royale) to fully fledged games. 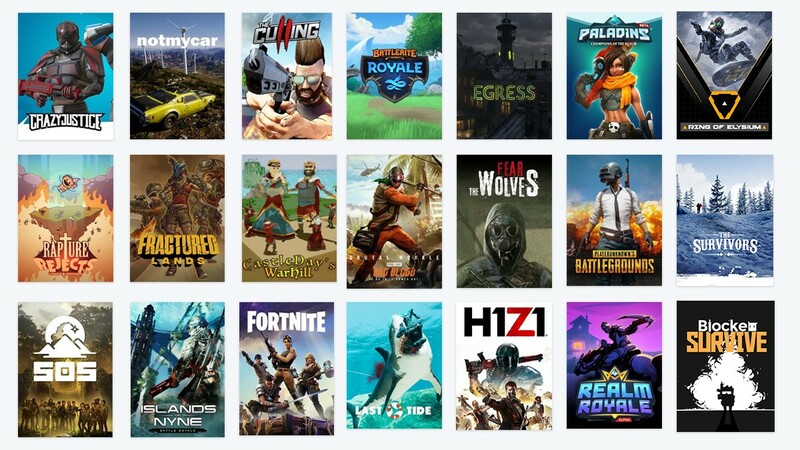 That’s a lot of Battle Royale games, will the growth stick during 2019? The IGDB camp also had some impressive numbers this year, with a whooping 89 189 total contributions across the site!! 2018 was our biggest year to date with more ratings, reviews, lists and contributions than ever before! A HUGE thank you to everyone in our community contributing and helping improving gaming as a whole!